Dexter's birthday party was a success! We ate food, shared cupcakes and decorated like fools thanks to Birthday in a Box! They supply everything you need to get the party started. 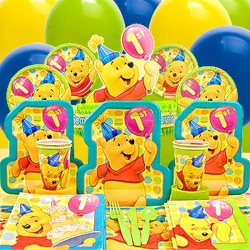 I chose the Pooh's 1st Birthday theme because Dexter is obsessed with Pooh and the color yellow. All of this for only $20.99, to me that is a steal! I loved the fact that everything matched perfectly. 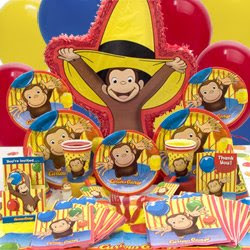 They have so many awesome products, not just for 1st birthdays. Do you want to have a Princess party, Valentine's Day party or just party because you like parties? Well, Birthday in a Box has got you covered! Look at the ADORABLE personalized banner that they sent for Dexter as well! Flipflops and Ice cream, I am dreaming of summer already! 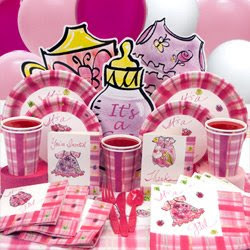 Awww, girly baby shower theme! They have boy themes too! 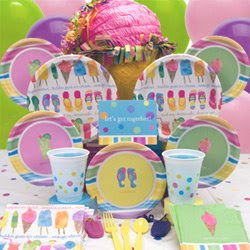 Birthday in a Box even carries thank you notes, centerpieces and goody bags! They have anything you could ever want or need for your party. Check them out for your next party, you will NOT be disappointed! Thank you so much for a great review. I'm so glad Dexter liked his Pooh's 1st Birthday party! Service : Customer service was indeed excellent. Lovely lady on the phone possessed a good voice moreover My partner and i acquired funding quick. Value :My hubby and i gained an incredible value as cash loan charges have been completely very reasonably competitive.